Patched VSD How Is Eisenmenger Complex Treated? 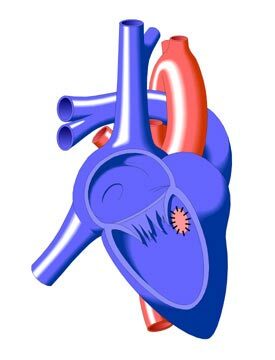 Eisenmenger Complex is often diagnosed when a patient reports with a distinctive heart murmur, cyanosis, hypertrophy (thickened walls) of the left ventricle, enlarged pulmonary artery, and/or a somewhat enlarged heart. The patient will be examined through the use of an electrocardiogram, chest x-ray, and/or echocardiography. 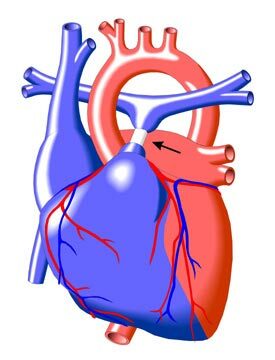 In some cases, a cardiac catheterization procedure may be necessary to determine the size of the VSD and to take measurements in the heart. Angiography during a cardiac catheterization may also be used in some cases, but is usually avoided because it may be unsafe for patients with PVOD. The repair of large VSDs in infancy is the best way to avoid the development of Eisenmenger Complex. Once PVOD has developed, VSD closure is no longer an option as the right left shunt across the VSD is necessary to ensure adequate cardiac output.